The spacious rooms utilize the beautiful view optimally with floor-to-ceiling windows that bring the skyline of Rotterdam into your bedroom. The decor is contemporary with sleek lines and designer furniture. The uniqueness of the rooms is that they are sustainable: The bathrooms are made of recycled glass. 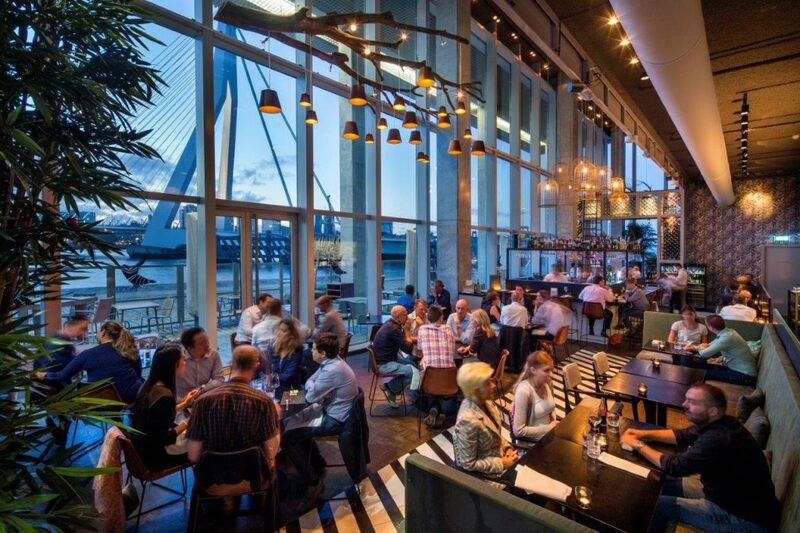 The BAR | KITCHEN is a cozy place for a snack and a drink, with an outdoor terrace overlooking the city and the river. The lobby with comfortable seating is very suitable for meetings. You can also use one of our meeting rooms here. For those looking for a unique location; watch The Loft. 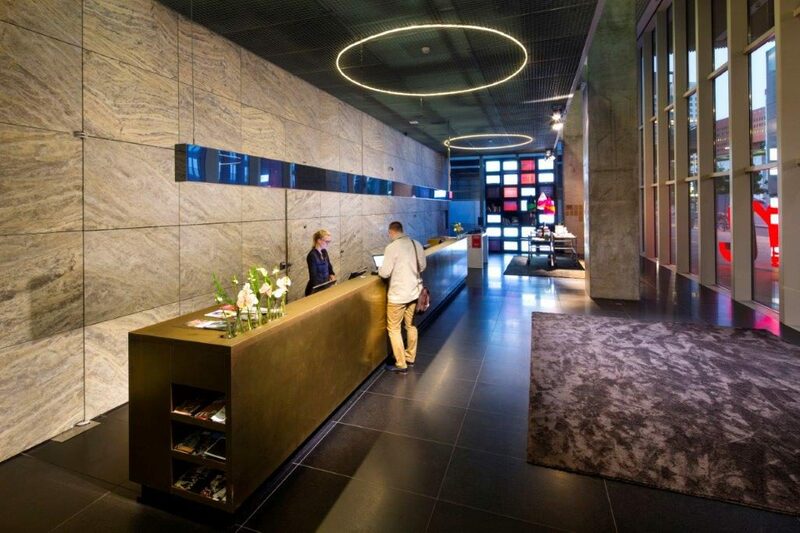 This space is designed by Rem Koolhaas / OMA and can be fully customized for any event. Times change, you change, eating habits change. Our concept has arisen from the response we received from our regular guests in recent years and our own foreign dining experiences. All “Signature” dishes by Rolph Hensens are served as an intermediate dish. Work is being done on the best products of the season. The card consists of bites and dishes between € 5 and € 24, -. Guests decide the amount of dishes themselves. The management led by Chantal de Raaf completes the guest’s evening. Quality in an accessible, relaxed atmosphere. The wine list contains more than 150 wines from all parts of the world. Many of these wines can also be ordered by glass. Aqua Asia Club is a high quality catering concept with lounge area and restaurant. Here you can go for lunch and dinner, lounging and meetings. The interior is modern, as it fits the building. The colors brown and blue dominate and give it a warm look. 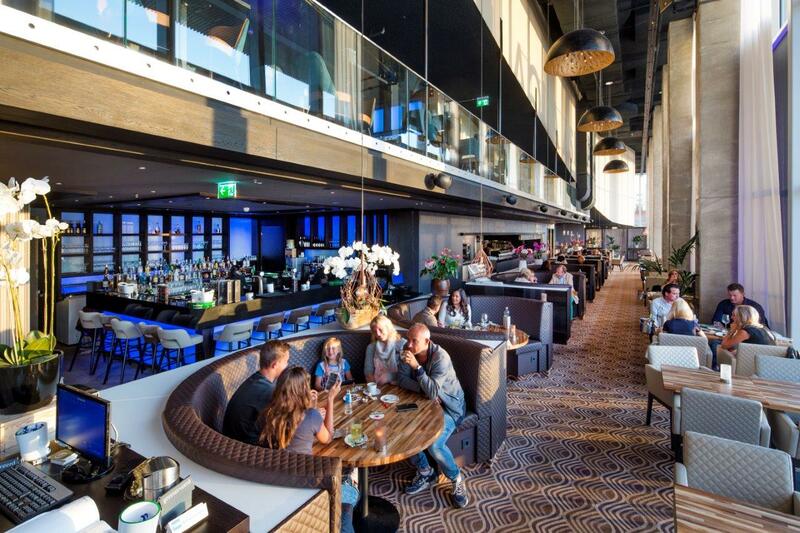 On the second floor of Aqua Asia is the Aqua Lounge room with breathtaking views of the Meuse and Erasmus bridge. A private dining area is also available. Both spaces are ideally suited for parties, business meetings, meetings and weddings.